QTY Sorry, this item is out of stock :( Sign up to be notified when this product is back in stock. The Klin Korea Large Duo Drying Towel needs no introduction. It's a firm favourite here at The Detailing Booth and widely acknowledged as one of the best drying towels on the market..! It's dual layered and consists of a twisted pile to capture and hold onto a vast amount of water. 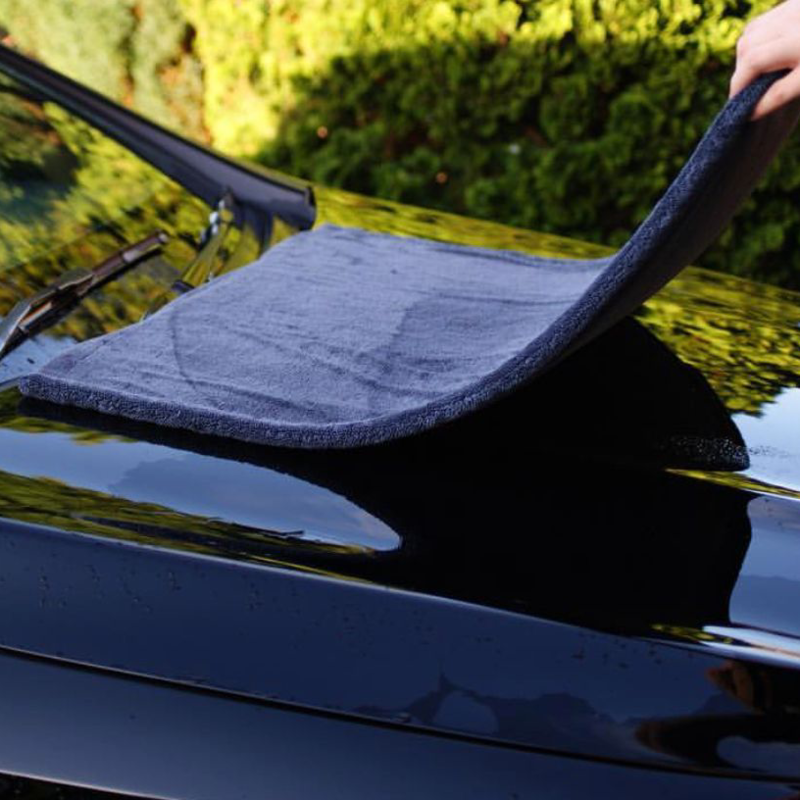 It means drying your vehicle just got a whole lot easier. It's huge - 70cm x 90cm in fact. They should have called it the Klin Duvet. Its edgeless. Why does that matter? It helps to decrease the chances of damaging your vehicles paintwork and causing swirl marks and scratches. It's really easy to maintain. Let it hang dry after each use and when it's ready for a wash, use a dedicated microfibre wash and it'll come up as good as new. They stand the test of time, and we have proof. James has had his Duo well over 12 months and it's used regularly and still performs as well as the day it arrived at The Detailing Booth HQ! Here's to many more years of use. Really? You need another reason? Ok.. When you buy from us you'll start to earn Loyalty Points. 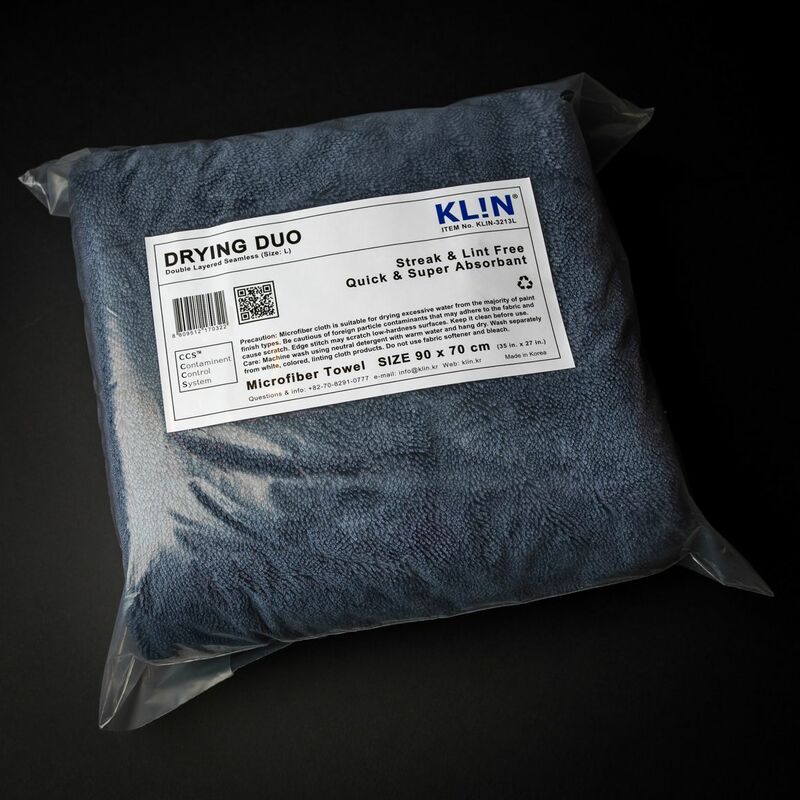 For the Klin Korea Duo you can earn up to £1.30 in points to use against your next purchase - A microfibre wash perhaps? What's more. We offer FREE UK Mainland Delivery on all Orders over £40. We recommend washing your towel before it's first use. Use a dedicated Microfibre wash, don't use fabric softener and absolutely no bleach. Let it hang dry. Don't wash with lighter coloured towels either. To maintain your towel follow the above and you won't be disappointed. We also sell the smaller version just click Mini Klin Towel for more info. "Arrived quickly and managed to dry both my X6 and A4 Avant with ease. I love this drying towel. 5 Stars too for customer service. It arrived quickly from James in a nice presentation box." "Unbelievable drying towel. I bought a second it was that good. You won't be disappointed"
"Wow what a brilliant towel! Amazing performance"
"Cut my total drying time by over half compared to a chamois! Other reviews and YouTube videos don’t do this product justice." "Order arrived quickly and in great packaging! Just got it out the washing machine ready for its first use. Will definitely be making more purchases from TDB. Ps the haribo was a nice touch....the wife finally got something from my detailing deliveries"